A mummified squirrel body was discovered nailed to a tree in Ottawa, Canada. and a police officer was called to assist with a “trapped squirrel.” It’s not clear from the report where exactly this squirrel was stuck. But I love small town police logs! Teens sneaking out of the house! Stolen chainsaws! Men fighting over tin cans! Suspicious persons! 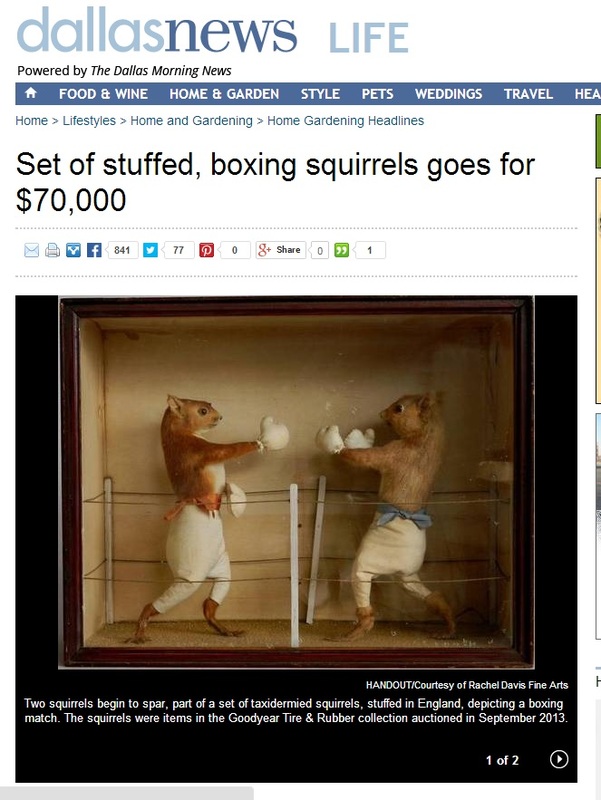 Someone paid $70K for a pair of taxidermied, boxing squirrels. That’s what I’d call disposable income. 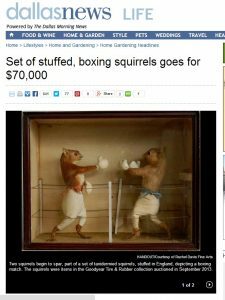 Posted in squirrels. Tags: alarm calls, endangered species, gray squirrels, pine trees, politics, power outages, red squirrels, squirrel bridge, squirrel proofing, taxidermy, urban wildlife, wildlife conservation, wildlife rehabilitation, working dogs on June 30, 2014 by Mikel Delgado.